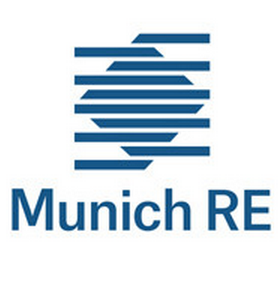 Munich Re, like so many other major reinsurers, has been expanding its use of alternative capital and building relationships with third-party investors from the capital markets over many years, but 2016 has seen companies double-down on these relationships and upsize cessions to ILS investors for 2017. Munich Re is no different, having renewed its Eden Re II Ltd. collateralised reinsurance sidecar at $360 million for 2017, around the same size as a year earlier, the reinsurer has now revealed that it broadened the sidecar’s usefulness by expanding the lines of business it ceded to the vehicle. For this year Munich Re has ceded four lines of business to investors through the Eden Re II sidecar. We understand that it is, as you’d expect property catastrophe reinsurance business at the core, but now features elements of specialty lines risks as well. The company said that it has also broadened its investors base, which will position its Eden Re II sidecar for greater growth in years to come as the reinsurer decided to cede more risk to it. Reinsurance, and even some insurers, are increasingly leveraging third-party capital market investor capital as a way to make their underwriting capacity more efficient, continue to earn revenues from areas of the market where underwriting returns no longer meet the cost of their balance-sheet capital and to augment their capacity while earning fee income for their underwriting expertise. Sidecars like Eden Re II offer a platform that can be built upon, so by broadening the investor base and also adding more risk into the pool Munich Re is building a vehicle it could considerably upsize if market conditions demand or allow. At the same time, Munich Re also said today that it broadened its catastrophe bond investor base when it issued the $190 million Queen Street XII Re dac transaction in 2016. Munich Re’s retrocessional reinsurance protection, which includes indemnity, industry loss warranties (ILW’s), risk swaps, cat bonds and sidecars, has increased across all its major catastrophe perils in recent years, with the capital markets and ILS investors playing a key role. Munich Re also utilises some collateralised providers of indemnity retrocession as well, we understand. Munich Re sees its use of alternative risk transfer and alternative capital as important in three ways. 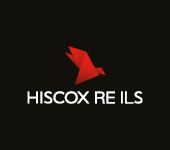 Firstly, it allows the reinsurer to combine its expertise in underwriting and managing peak catastrophe risks while providing its client base with access to institutional investor capacity, to augment its own. Secondly, the reinsurer takes advantage of new sources of capital for both its clients and its own books of business, which can add efficiency to its underwriting capital. Thirdly, Munich Re provides ILS services for third parties, such as ILS fund managers and investors, which it notes can either be a customised stand-alone service or integrated into its traditional reinsurance solutions. By broadening its distribution channels to the capital markets Munich Re enjoys added flexibility for its balance sheet and it believes that a relationship based approach to this will leave it with the scope to scale the ILS activities up over time.